It Is Back In Morocco! The FRAM wishes were granted! The team Trip2visit.com has lived 2 years in Morocco, it is very long ... Morocco has been modernized, but still as welcoming. Beyond Modernity , a term still debatable, the country has moved towards greater democracy, greater rights for women ... The arrival in power of Mohamed VI gave a boost undeniable modernization of the country. Morocco has therefore a period of growth and a great opening to the outside. course, not everything is rosy, far from faultless. Substantive work is done towards child labor. Who benefits from the development of riads? Who benefits from growth? The terrorist risk is not excluded. Living standards in the country is very uneven between city and countryside. But this should not prevent you to visit Morocco! Tourism is by rais, provided they comply with local and show a little modesty. You can only be seduced by this land of beauty in every season, contrasts and natural human saisisants. 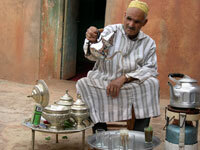 Morocco is an ancient nation, which advanced modernity by Bond. You skim of a modern business and the old city, with all the postcards available: Kasbah, riads, palaces, bazaars but also small mountain villages ... A devouring eyes, the country has beautiful monuments in a setting often exceptional. If you pass in the Atlas, you may be lucky enough to attend a local dance. Summer is the period of price broken due to heat! If you opt for a hotel club, why not. We prefer the spring and fall: not too hot, but hot anyway, good for the city, the desert and especially what we like most, walking. The walk can walk to discover the real Morocco, as elsewhere ... the ski trip! We skied to Oukaïmeden 20 years ago ... dépaisant was really at the time. Today the station gets Europeanized, and we fear it just become the snobbish Parisian park. Today the ski touring is top: the beauty and dépaisement total will still need, with great elevation changes to the key in the Vale and sublime landscapes. Morocco needs his name in many languages, its cities its legendary Fez and Marrakech. Marruecos, Marrakesh in Spanish, gave his name to Maroc in French, Morrocco, English, Marrocos Portuguese, Marokko in several languages to Germanic consonants. The Arabs call Morocco west distant , Arabic Al-Maghrib Al-Aqsa , the Turks call Fas . 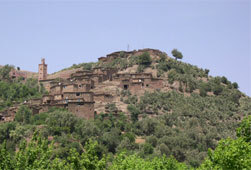 Add to bookmark this page Morocco " About Maroc " - Firefox do "Ctrl D"